nourishment for your body. mind. heart & soul. 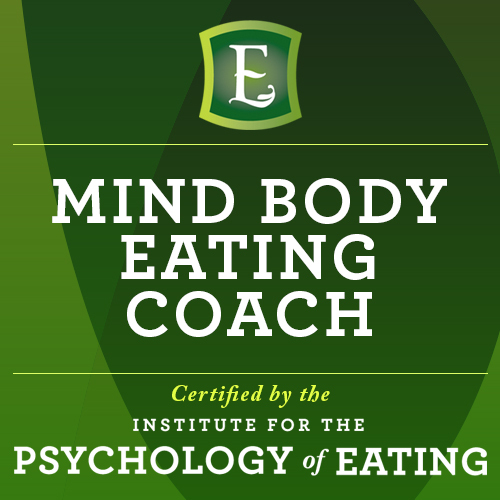 As an Eating Psychology & Mind Body Nutrition Practitioner, my approach is positive and empowering, as I guide you on transforming your relationship with food, body image and self. During our journey together, I will help you walk away from the outdated, dis-empowering approaches to health and nutrition and find strategies that work for you. 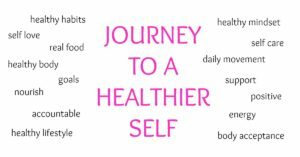 Ultimately creating a healthy lifestyle that nourishes you to living your healthiest life. Stepping into a positive mindset and creating a healthy balance, that keeps your body and mind happy & healthy. I will show you how to nourish your body with healthy whole foods, engage your body with daily movement that it loves, and treat your body with the love & respect that it deserves. You will be supported in a non-judgemental environment with a community of like minded individuals – coming together to motivate, encourage and lift each other up, through the daily highs & lows of this journey – ultimately helping you to step into your power, and reach your healthiest & happiest self. If you are ready to make a change, and transform your relationship with food and body image, and start liking & loving yourself again, then this is the right program for you. Coming together in a private group setting, you will link arms with members from across the globe. This is where the magic really happens, as we share our sweaty selfies, our healthy meals and support each other during the highs & lows of our journey. You are never alone – I am here to support you throughout your journey. To encourage, motivate and hold you accountable, as you work towards your goals and unleash your full potential. The workouts provided are quick & efficient. A combination of strength & endurance moves, they will leave you feeling strong, healthy and full of energy. In 30 mins or less, these can be done from the comfort of your home or in the gym – you choose! Knowing how to properly nourish your body can be very confusing – but eating healthy, doesn’t need to be complicated – I am going to help you create a plan that works best for you, so you feel your best, as you work towards your goals. We live in a fast paced world, which often has us eating on the go. I am going to show you how to “keep it simple” in the kitchen, while creating delicious simple healthy meals and snacks, that nourish your body. There is a lot of misguided information out there. Throughout the 12 weeks, I am going to help you weed through the facts. Sharing lots of healthy nutrition tips, advice and info – so you can feel confident with the choices you are making. Eating well and moving your body are critical for your health & wellness. However, without the right mindset, you will just be spinning your wheels. Over the 12 weeks, I am going to help you breakthrough the mindset blocks that hold you back from being your healthiest self. In order to make a change, we need to make a shift with what we are currently doing. 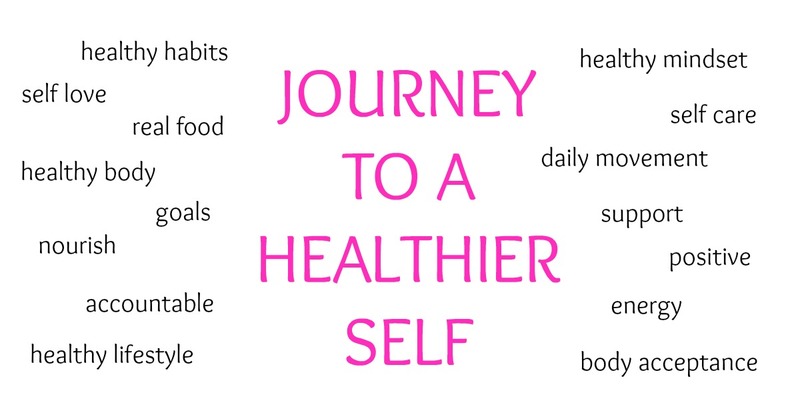 Each week we will be focusing on establishing a new “healthy habit”, as we break free from an unhealthy one. Each week a new “fun” challenge will be posted, to help you stay motivated & accountable as you work towards your goals. Select a recipient by entering an email address and/or mobile phone number. Use nicole@simplymade.ca as the email address. Fill in the Interac e-Transfer information (dollar amount, account from which to withdraw the funds, a security question that only the recipient will know the answer to and optional personal message). Please make the security question answer “healthy”. Do you endorse a “product” and do I need to purchase it or any other “supplement” to do your program? Absolutely not. I know that there are many great products out there, but I have not aligned myself with any of them, nor do I promote them. I believe that the use of them is completely individual. I have done other programs in the past, but always felt they were too big and that I was never noticed. Do you limit the amount of participates you take. Yes, I like to cap my program at 125 participates – as I like to personally make a connection with each member. High 5ing them on getting in their workout or eating a healthy meal and commenting and answering each post. If you participate in the group, you will definitely not go unnoticed. I haven’t worked out for years, do I have to follow the workouts and can the workouts be modified? The workouts provided are simply a guide and all of the exercises can be modified to suit your individual needs. The idea is to simply get your body moving – I want you engaging in activities that you enjoy doing, and that will help to get your heart pumping and create a healthy glow. Do I need to follow a certain meal plan, and eat different foods from my family? Absolutely not – We all have different goals, different tastes and different dietary needs. I encourage whole food eating and provide “sample meal” plans and lots of simple family friendly recipes and meal ideas throughout the 12 weeks. Thus helping you create a plan that works best for YOU. I’m shy and not really into posting in a group – can I still be part of the program? Absolutely, although I encourage you to post on the group wall and join in with the daily chatter and weekly challenges, it is definitely not a necessity. You can still greatly benefit by simply reading the daily posts and being a silent entity. I don’t live anywhere near you, can I still do your program? You bet, that’s the beauty of the internet, everything is done completely online. So no matter where you are in the world, you can participate. I currently have members in Australia, United States, Ontario, Calgary, Manitoba, etc. *Have another question for me? Feel free to send an email to nicole@simplymade.ca and I will get back to you as soon as possible. I recommend taking any of Nicole’s programs. She is authentic, knowledgeable, dedicated and professional. I’m grateful to have been a participant in 4 of her programs to date. I keep going back for the great workouts, inspiration, support and down to earth community. As a busy mom and nurse educator the Simply Made program has continually inspired me to maintain quality self care for my mind, body and soul. Nicole leads a community of like minded individuals who aim to achieve health and fitness in all areas of their lives. Nicole is readily available to answer questions and creates an online atmosphere that is supportive and nurturing. The program has helped me stay accountable to my own individual fitness goals. The recipes and fitness videos are manageable for my busy lifestyle and have helped me maintain a positive mindset that has resulted in a healthy body weight and increased my energy levels. If you are looking for a stress free, supportive, healthy fitness community, Simply Made is the best gift you can give yourself. The Simply Made group is simply a must for anyone who is looking to make a lifestyle change. With the guidance and support of Nicole and the group you will have all the tools you need to succeed in making the changes. It’s not a diet, fad or cleanse it is all about making the right choices for life. Healthy meals, fabulous workouts and lots of motivation. I have truly enjoyed being apart of this wonderful group. So inspirational and I have learned so much about what’s best for me. I would highly recommend Nicole and this group to anyone. I love the fact that I can workout at home, on my schedule and yet have all the tools, support, education and encouragement whenever I need it. The women in the group are amazing and even though I haven’t met a lot of them, I feel the love and support like they were a great friend. This group keeps me motivated and wanting to continue this healthy journey. Thank you Nicole for creating a private, secure, easy yet challenging program ANYONE can follow. It’s truly a lifestyle and not a fad diet. This is not a quick fix or an overnight bikini body. There are no magic pills or fancy shakes or miracle treatments here. This is about finding your healthy self through active play, daily movement and good, whole foods. 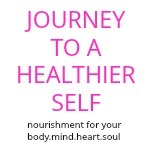 It’s about nourishing your body, your heart and your mind. Nicole’s coaching, mentoring, and encouraging helped me learn to love a healthy lifestyle, to eat delicious, nutritious foods, and to move my body every day in a way that I enjoy. Delicious recipes, fun workouts, daily coaching, weekly challenges, and lots of group support. You get out of it what you put into it, and it can change your life if you’re willing to put in the work. I just turned 40, and I feel and look better now than I did at 25! Thank you Nicole! I have been part of 3 of Nicole’s Simply Made 12 week groups, always with positive results. Sometimes these results come in the form of weight loss and improved strength and conditioning. At other times improved mental well being. She stresses healthy, whole food eating and has constant examples on her site for ideas for meals and making eating fun and stress free. Nicole is always there for her group, as a leader she is positive and motivational. You can count on her to respond to any questions you may have regarding nutrition or exercise in a timely manner and with enthusiastic encouragement and scientifically based knowledge. Nicole is an Eating Psychology, Mind & Body Nutrition Practitioner. She is passionate in helping people free themselves from the diet mentality and heal their relationship with food, body image and self. Nicole believes that the first step to achieving this begins from within and more than anything, is the foundation of our health and well-being. Nicole is a wife and the mama of four active children. She loves the outdoors and believes that being in nature heals the soul. When not working with clients, she likes to spend her free time mountain biking, running the trails or training for her new passion, cyclocross. 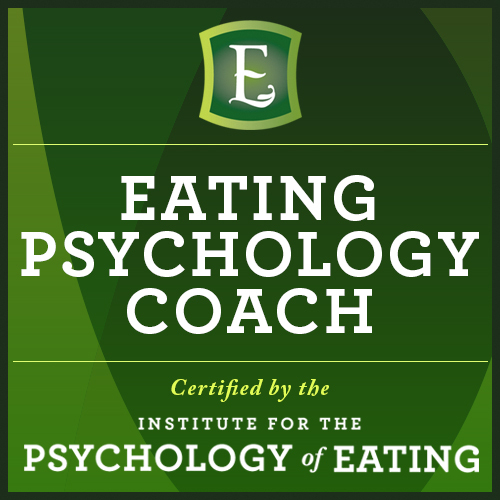 Nicole is certified through The Institute for the Psychology of Eating, as well as Precision Nutrition Level 1 & 2. She also has her certifications in reiki, fitness, trx, and spinning.